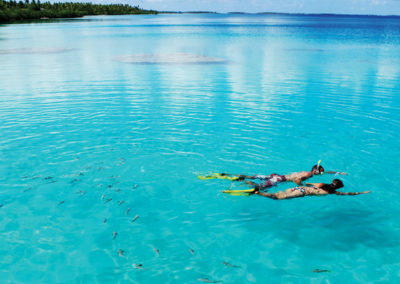 An incredible experience awaits you on board the refined Hauman cruising around Bora Bora, Taha’a and Raiatea. 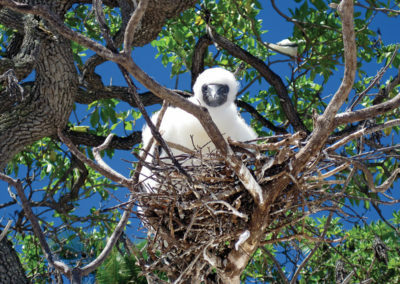 The Haumana offers two stunning cruises: the Vanira cruise and the Poerava Cruise. Both cruises last 4 days/3 nights. 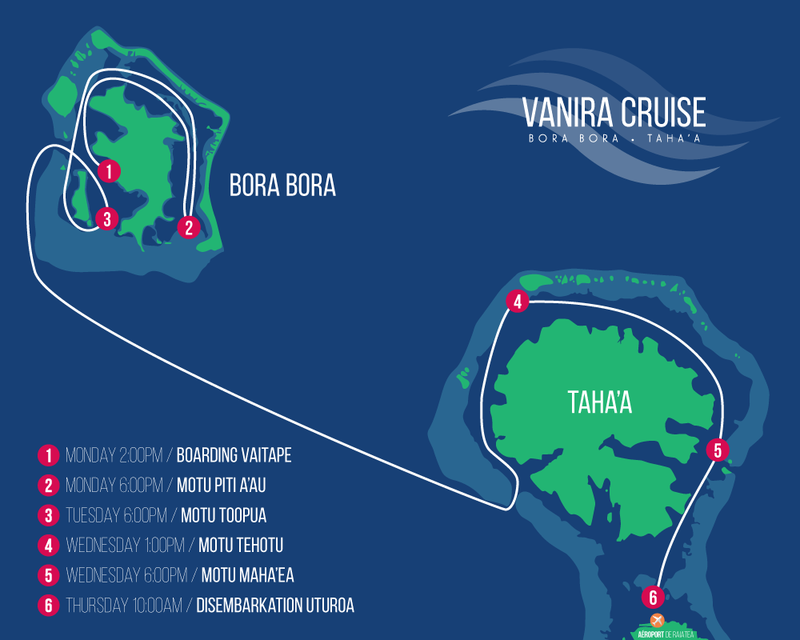 Vanira cruise departs from Bora Bora to disembark in Raiatea (Sunday to Thursday). 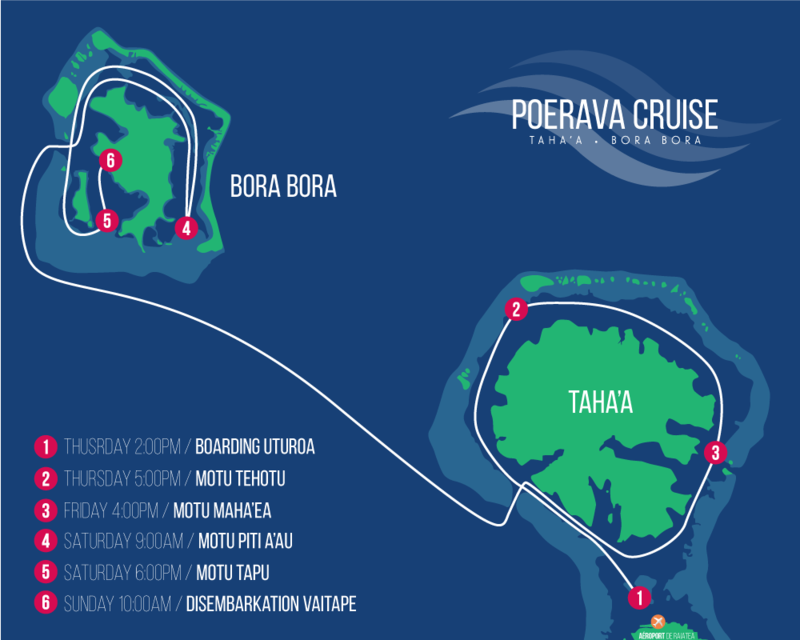 The Poerava cruise embarks in Raiatea and disembarks in Bora Bora (Thursday to Sunday). 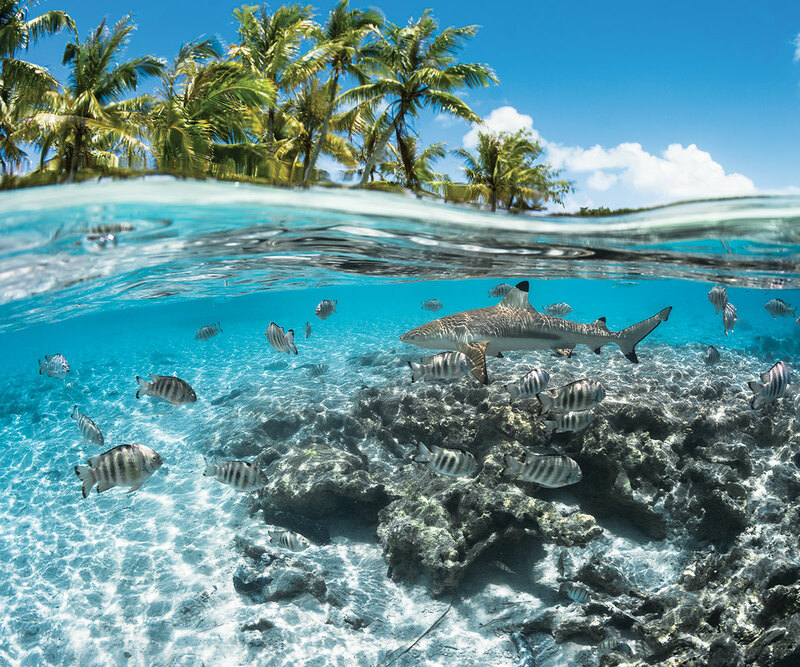 Joining a cruise aboard the Haumana is having the opportunity to admire these beautiful waters being surrounded by those who know the islands of Tahiti: the Polynesians. 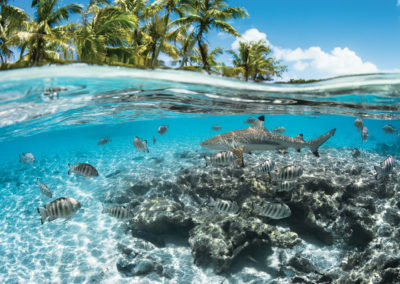 Proud of their culture and history, the crew members are committed to offering you their full attention, making this cruise a unique moment of sharing, in an intimate and friendly atmosphere. 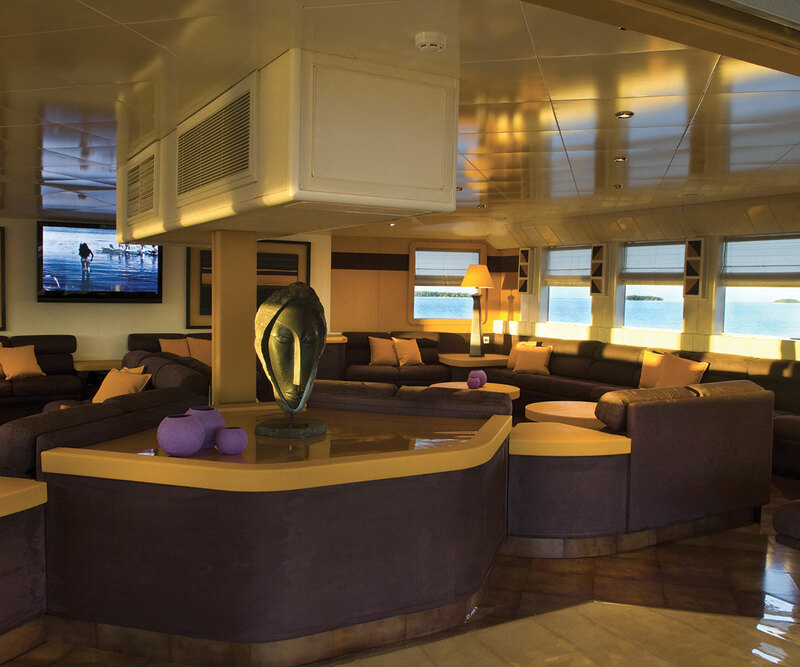 The Haumana features: 3 decks, 2 tenders, 13 crew members, 11 cabins and 1 suite. 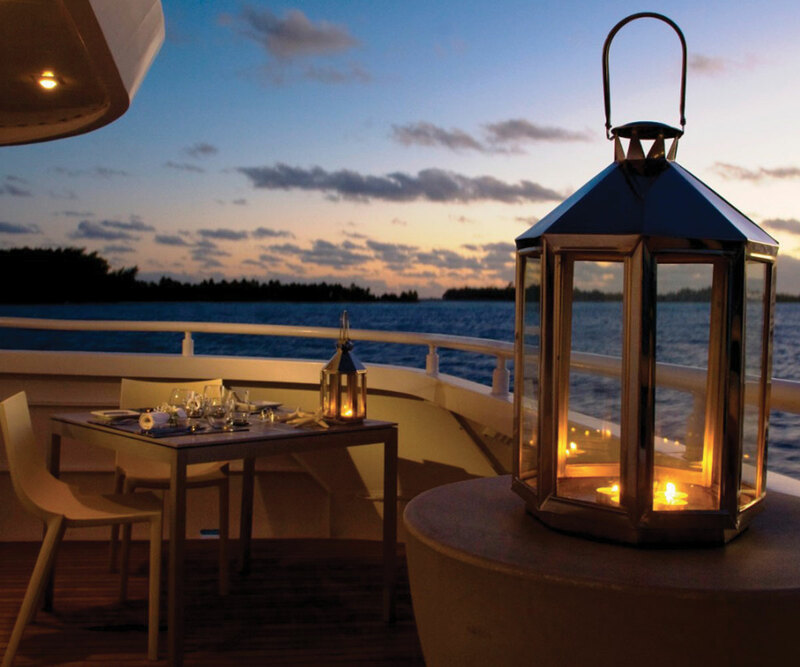 Around the yacht, guests can enjoy the restaurant, the bar, a panoramic lounge with large outside deck, a platform for nautical activities and sundeck. 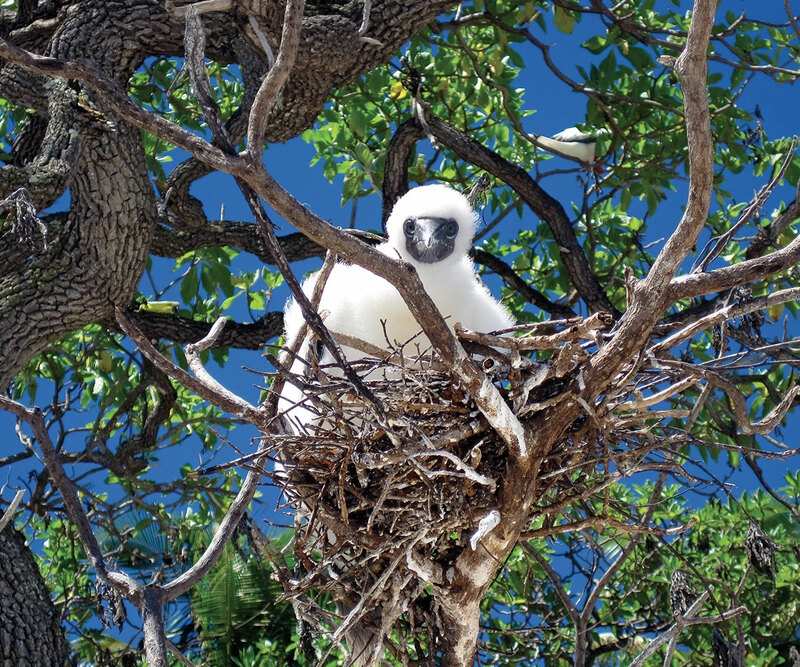 Complimentary use of nautical equipment such as kayaks, paddle boards, snorkeling gear, cultural activities and a library are available. On Deck 1, there are 2 “Ninamu” cabins measuring 15sq.mp. 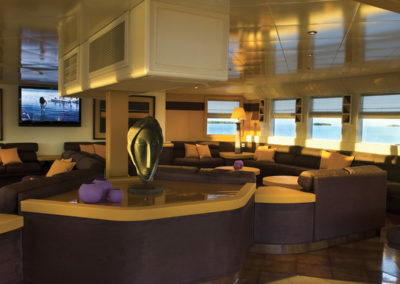 with large portholes, queen size beds, A/C, bathroom with shower, hair dryer and toiletries, flat screen TV and CD/DVD player, safe & minibar, serviced twice daily. 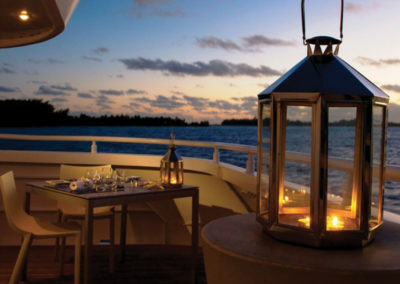 On Deck 2, there are 9 “Mahana” cabins measuring 15sq.mp. with large portholes, queen size beds, A/C, bathroom with shower, hair dryer and toiletries, flat screen TV and CD/DVD player, safe & minibar, serviced twice daily. There is also the panoramic “Fetia” Suite measuring 35sq.m., king size bed and amenities identical to the Mahana cabins. 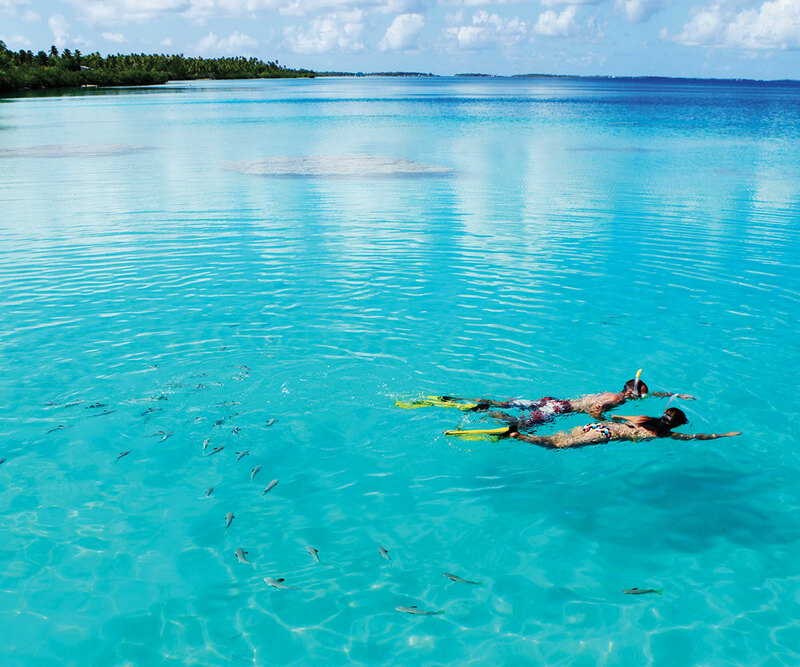 Rates for the 3-night cruise include: all meals with a selection of complimentary wines; all non alcoholic beverages, one excursion ashore to discover Taha’a (half day); all onboard activities.